Home renovation isn’t always about hiring the most cheapest company; it requires specific detailing and planning to the point of each hour being assigned to completing a project. You want only the best when it comes to your home renovation, especially if you’ll be installing floor tile in your San Fernando, Los Angeles, or Thousand Oaks home. Granted, you may be able to find a trusted home renovator at a great price, but you need to do your due diligence whilst searching. So how do you find the best renovation professional for your project? In this article, Transworld Tile will share how to choose the best home renovation company for your project. Two primary goals prior to starting your renovation project should be of utmost importance. 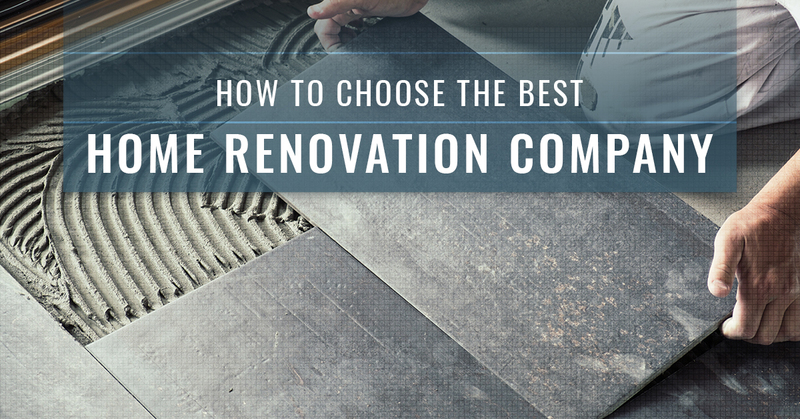 The first is determining what you actually want to renovate. The second is your budget to complete the project. Once you have these two items, you can begin your search for a home renovation company. Start with your vision. What do you want out of your renovation project? Do you want new floor tile, kitchen countertops, bathroom amenities? It all starts with your vision. Most homeowners know when a space is not working for them, and they also know they need to do something about it. However, it’s tough to sit down and actually do all the research to find the space renovations that fit their lifestyle the best. This is where simple notes like wanting a bigger space, better traffic flow through the room, or a more central focus in the space help your designer and renovation team make your vision a reality. Remember, this is a general idea to give you a direction to move toward. Your renovation project may need all of these members, or it may only need one. This is for you to determine based on what you need. How long have you been in your specific industry? Do you have recent references I can call? Do you have renovation companies or partners you would recommend I interview? How would you renovate my space? Not only do you need to set a budget before beginning the interview process, but you need to be open to that number changing as you discuss your vision with renovation experts. Remember, you want them to quote you first. If you give a number, and it’s higher than what they would charge, most contractors will simply say that the number you’ve given will work and move forward. Ask your interviewees for some alternatives to your renovation project that would achieve the same outcome but with a different route. This could mean updating your kitchen cabinets instead of the floor. Be open to suggestions and consider the cost-savings or expenses depending on the options you’re presented. Transworld Tile is your tile experts serving San Fernando, Los Angeles, and Thousand Oaks. Contact us now or visit our showroom today to find the best tile for your renovation project.